Discussion in 'HYIP Discussion' started by All-HYIPs.info, Mar 27, 2019. The amount of 3.5 USD has been deposited to your account. Accounts: U13195073->U8252702. Memo: API Payment. Withdraw to hyip4you from Capital-fx LTD.. Date: 07:43 11.04.19. Batch: 255295149. The amount of 0.5 USD has been deposited to your account. Accounts: U13195073->U1557892. Memo: API Payment. 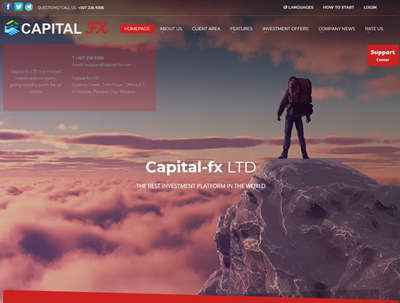 Withdraw to paymentstat from Capital-fx LTD.. Date: 08:47 12.04.19. Batch: 255465935. The amount of 0.5 USD has been deposited to your account. Accounts: U13195073->U8252702. Memo: API Payment. Withdraw to hyip4you from Capital-fx LTD.. Date: 21:37 12.04.19. Batch: 255576439. The amount of 0.5 USD has been deposited to your account. Accounts: U13195073->U1557892. Memo: API Payment. Withdraw to paymentstat from Capital-fx LTD.. Date: 19:39 15.04.19. Batch: 255975901. The amount of 0.5 USD has been deposited to your account. Accounts: U13195073->U8252702. Memo: API Payment. Withdraw to hyip4you from Capital-fx LTD.. Date: 20:02 15.04.19. Batch: 255978612.